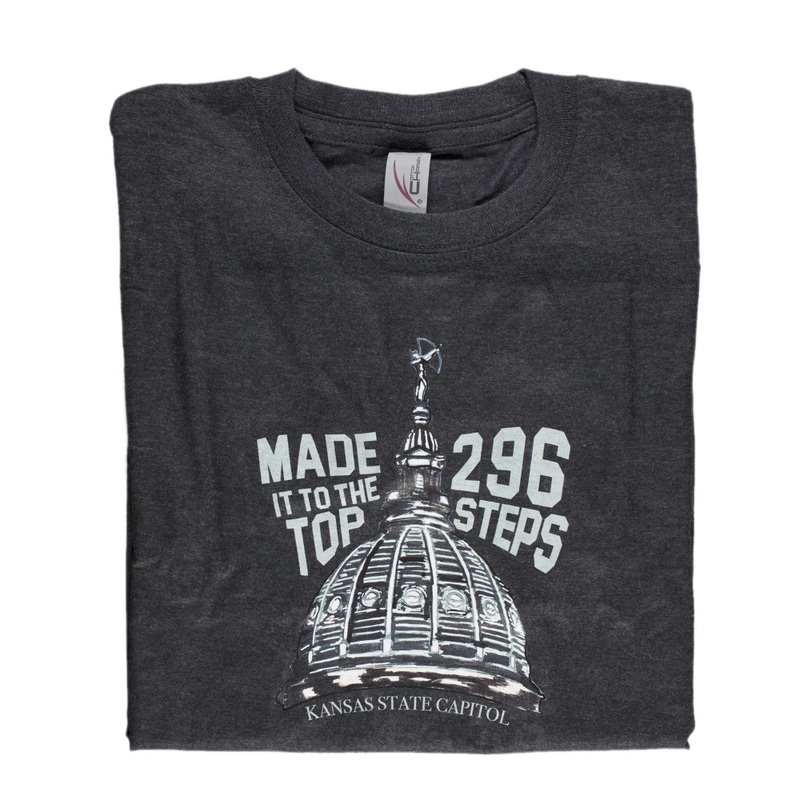 Did you make it up all 296 steps to the top of the dome at the Kansas State Capitol? Then this t-shirt is for you! Printed in Kansas on a graphite heather gray shirt, this t-shirt lets everyone know you made it to the top! Shirt is 60% cotton and 40% polyester. Printed by Tradepost Entertainment of Topeka, KS.